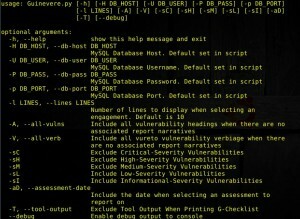 Browse: Home / Guinevere – Automated Security Assessment Reporting Tool. Latest Change 9/1/2016 v1.2.3: Fixed retest statistics calculations of remaining vulnerable host totals. A .docx retest report will be generated. The tool will evaluate the original assessment findings against the retest findings. The retest findings don’t need to be ranked as only the severity level of a vulnerability found in the orginial assessment will be used. New vulnerabilities and new hosts found during the retest will also be ignored. The report will contain a list of vulnerabilities along with their status (Remediated, Partially Remediated, or Not Remediated). 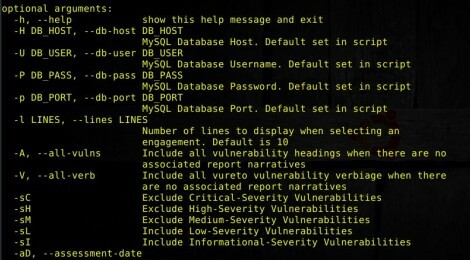 A table will also be provided that contains hosts that are still vulnerable. A statistics table is also provided to be used with building graphs or charts. 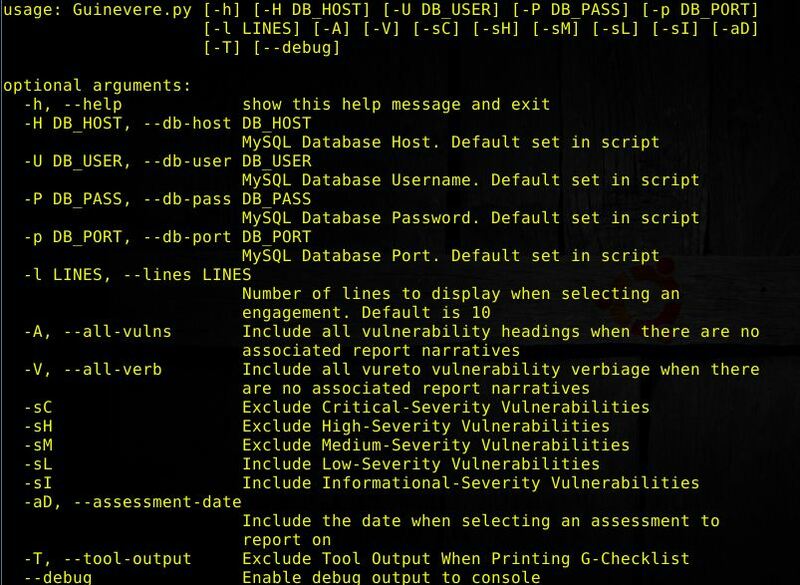 The Pentest Checklist is an HTML document used for information management while conducting a pentest. The generated report provides the analyst with a list of host and their open ports along with space for note taking. This is stil under development and provides basic functionalty. The data is retrieved from the Gauntlet database. The “-T” flag can be used to display out from tools such as Nessus but is very verbose. ← exploit pack – list your new exploit on Exploit Pack you will need.